Join thousands of specialty food entrepreneurs just like you on our online forum. 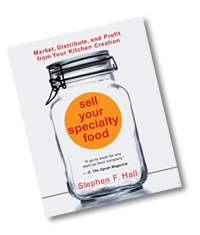 Market, distribute, and profit from your kitchen creation. We show you what you need to make it happen. Contact the specialty food marketing and business resources you need. Expand your food business with current and useful information about the specialty food industry.